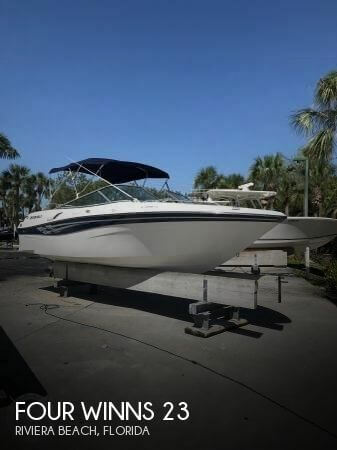 2007 Four Winns 258 Vista This 2007 Four Winns 258 Vista is new to the market in April of 2018. She is priced to sell at $33,000 and is ready for the water. The owner has kept very good care of the Volvo Penta 5.7 L OSI 320 hp power plant with 360 hours. Can easily be seen at the York River Yacht Haven in Gloucester Point, VA.
2005 Four Winns HORIZON 180 LE, 2005 FOUR WINNS 180 LE runabout walk thru windshield. rear swim deck platform, bimini top, includes trailer. Stock #156826 Very Sharp and Well Maintained 2008 Four Winns H240! 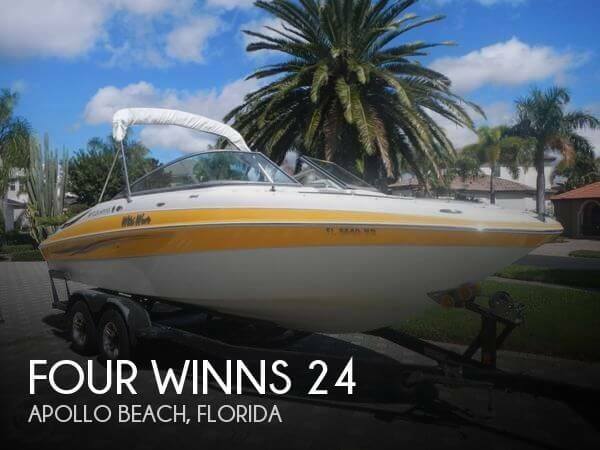 If you are in the market for a bowrider, look no further than this 2008 Four Winns 24, priced right at $27,700 (offers encouraged). This boat is located in Apollo Beach, Florida. She is also equipped with a Volvo Penta engine that has 365 hours. The Four Winns runs great, recently got a new Gimble bearing, oil change. Totally lake ready for summer fun. The upholstery was replaced last summer The sale includes the 2003 Four Winns dual axle trailer that was built for this boat. Stock #173842 Lake ready. Excellent condition.New Upholstery 2018. Just serviced! If you are in the market for a bowrider, look no further than this 2003 Four Winns 200 Horizon, priced right at $15,250 (offers encouraged). 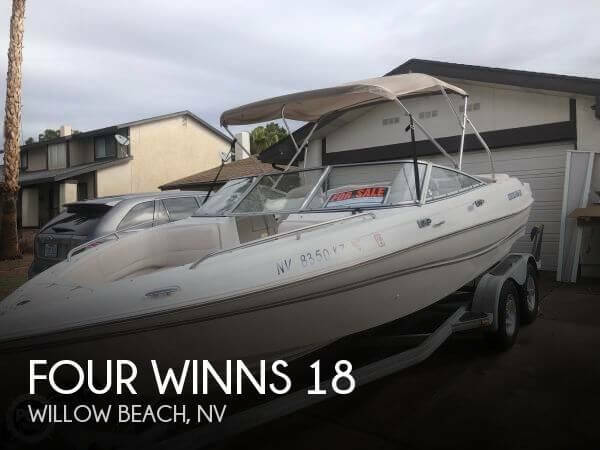 This boat is located in Boulder City, Nevada and is in good condition. She is also equipped with a Volvo Penta engine. WOW - Minimal hours on this clean and professionally maintained Four Winns H series bowrider. This one is barely broken in and is ready to provide you with years of fun. Per the Seller: Full annual service completed in 2018. All systems in proper working order with a strong battery! Always covered and primarily stored indoors. Stock #152153 LOW HOURS & PROFESSIONALLY SERVICED - Ready for Family Fun in the Sun!!! Includes Four Winns trailer! If you are in the market for a bowrider, look no further than this 2009 Four Winns H180, just reduced to $18,750 (offers encouraged). 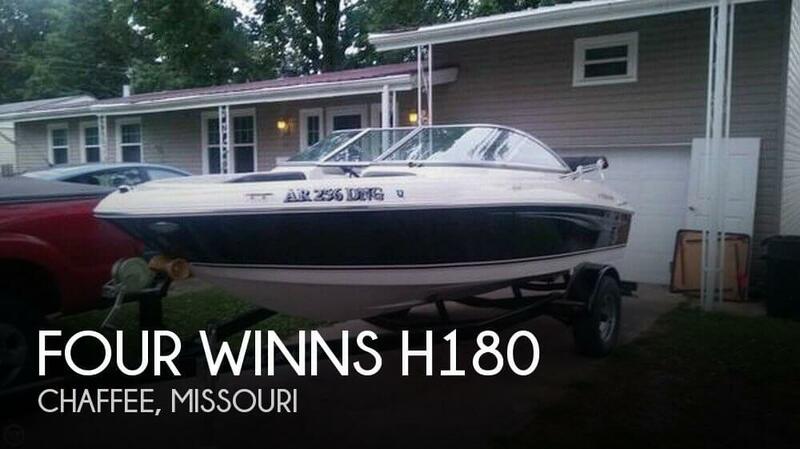 This boat is located in Chaffee, Missouri and is in good condition. She is also equipped with a Volvo Penta engine that has only 99 hours. Reason for selling is not using enough. This vessel is in very good condition, better than a typical 30-year-old boat. The red hull has been repainted, the black and white is gelcoat and looks very good. The engine is a Crusader Classic replacement that the seller says has approximately 25 hours. The previous owner replaced the engine and the current owner does not have any paperwork, The OMC sterndrive looks to be in good condition, and the seller says it has been gone through and a new bellow was installed Stock #169583 1988 FOUR WINNS, Liberator 201 with Crusader 350, Trailer Included! 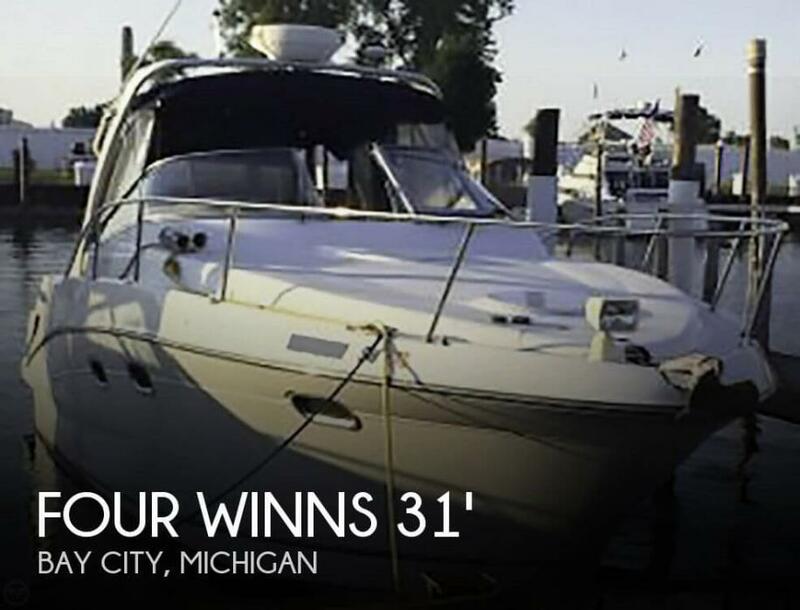 If you are in the market for a runabout, look no further than this 1988 Four Winns Liberator 201, priced right at $15,000 (offers encouraged). This boat is located in Sebastian, Florida and is in great condition. She is also equipped with a Crusader engine. Reason for selling is no time to use. Stock #161677 Beautiful boat - rarely used - only 150 hours on engines and recently serviced! If you are in the market for an express cruiser, look no further than this 2008 Four Winns 27, priced right at $55,600 (offers encouraged). This boat is located in Hobe Sound, Florida. She is also equipped with twin Mercruiser engines. Good overall condition for a 1988 hull. A few of the normal scuffs on the outside but nothing visible through the gelcoat. Some of the exterior upholstery shows some wear from the years but is still soft. This spent most of its life in freshwater and has been in Florida for a couple years. Normally stored under a cover. Stock #155210 Classic Liberator in good condition. Nice motor setup and good balance of deck space and cabin space. 2005 triple axle trailer included! 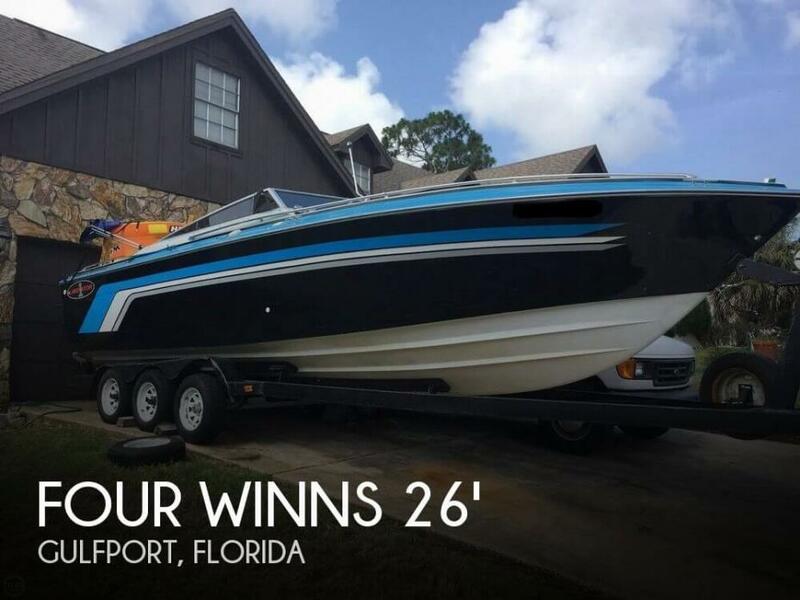 If you are in the market for a high performance boat, look no further than this 1988 Four Winns 261 Liberator, just reduced to $13,000 (offers encouraged). 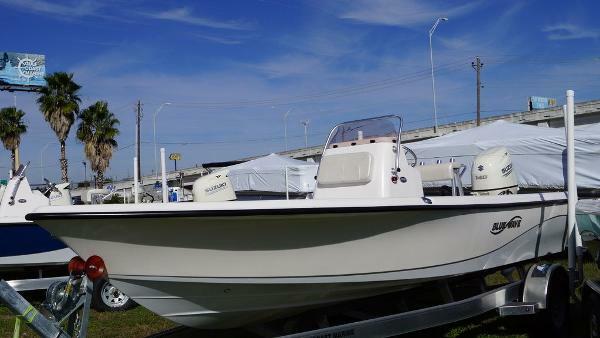 This boat is located in Gulfport, Florida and is in good condition. She is also equipped with twin OMC engines. Reason for selling is not using enough. The entire vessel is in excellent condition according to the owner. She has been well maintained and looks great. the hull shines and the interior is clean and dry. As far as we know everything on the boat works as it should. Other Features: Also onboard is a Sony sound system, cockpit cover, extended bimini top covers the whole cockpit, extended swim platform W/deep drop boarding ladder, u-shape cockpit seating W/dinette table, foredeck sun pad, fiberglass liner W/ Berber carpet, screened cabin entry, trim tabs, cabin fiberglass liner W/carpet, Goldstar microwave , electric stove, Corian countertop w/sink & pressure water, Norcold refrigerator/freezer, windshield. wiper, fiberglass lined head compartment, overhead lighting, holding tank monitor & macerator, hot/cold transom shower, dockside water, complete enclosure tarps for bad weather. Stock #172215 Enjoy the weekends and cruise the waters this year in style in this Beautiful Four Winns VISTA, start enjoying the view today. If you are in the market for a cuddy cabin, look no further than this 2000 Four Winns 248 Vista, priced right at $22,250 (offers encouraged). 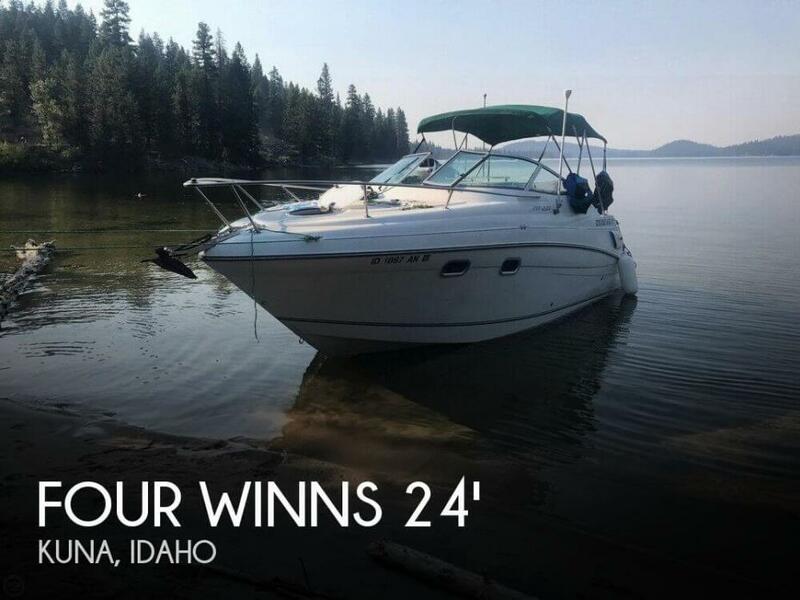 This boat is located in Kuna, Idaho and is in great condition. She is also equipped with a Volvo Penta engine that has 500 hours. This vessel has had very little use by the owners. The seller is reporting the boat to be in above average condition. There is not an engine hour meter on the vessel but reported to be low due to the little use. 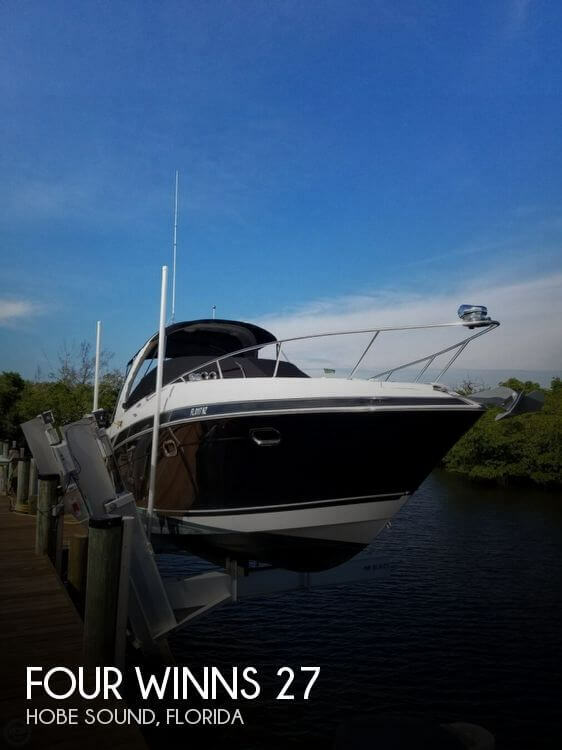 The listing broker has not personally seen the vessel, working directly with the seller and online resources to provide the most accurate information on the vessel Stock #174891 Vista 238 that's never seen salt water & has been used rarely has like new motor and new fuel lines comes with cover, bimini and salon enclosure! If you are in the market for an express cruiser, look no further than this 1999 Four Winns 238 Vista, priced right at $19,750 (offers encouraged). This boat is located in Penrose, Colorado and is in good condition. She is also equipped with a Volvo Penta engine. Reason for selling is owner simply does not have the time to enjoy the boat. Current owner (2nd Owner) says his 2000 FOUR WINNS 298 VISTA is in "Very Good Overall Condition" As received from the current owner; Twin Volvo Penta engines run great Have not used Radar Electronics are 18 years old Always service and maintained annually or as needed during the season Kept clean Has only been used in "FRESHWATER" Stock #172418 TWIN VOLVO PENTA 5.7 GSI 280 HP EACH..!! VOLVO PENTA I/O'S WITH SS DUO PROPS..! CRUISE AIR A/C..! KOHLER GENERATOR..! RAYTHEON RADAR..! Reason for selling is not using enough. According to the Seller: The interior of this boat is clean and free of stains, tears, or other imperfections. The exterior is nice and shiny and free of blemishes, dings, or scratches. The trailer is clean and in great condition as well. It is unlikely you'll find another H210 this nice Stock #164533 Like New, Loaded with extras. Ready for endless recreation. If you are in the market for a bowrider, look no further than this 2013 Four Winns H210, just reduced to $39,900 (offers encouraged). 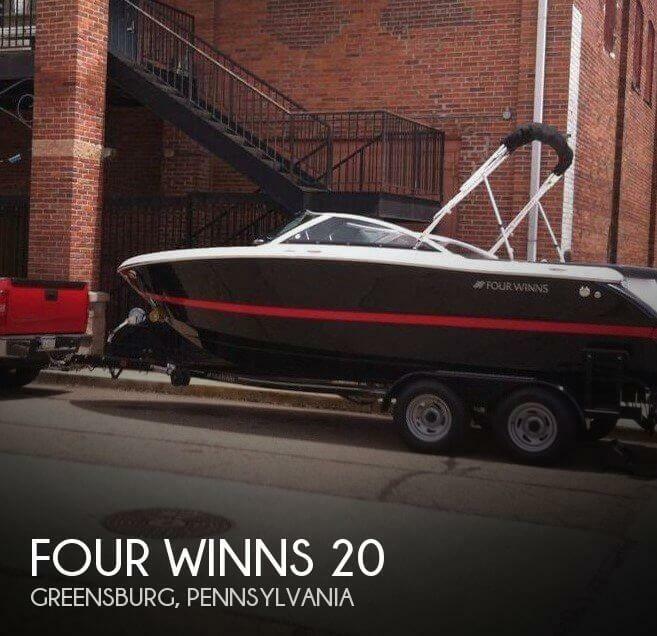 This boat is located in Greensburg, Pennsylvania and is in great condition. She is also equipped with a Mercruiser engine that has only 150 hours. 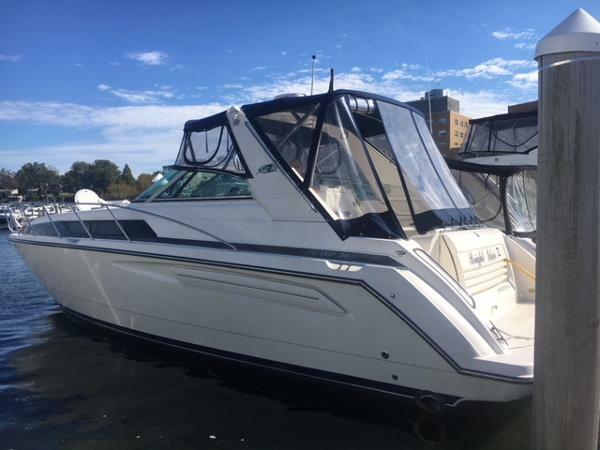 Stock #175513 Spacious 230H seats 12 so perfect for family & friends very nice detailing and she includes bimini and covers If you are in the market for a bowrider, look no further than this 2000 Four Winns 23, priced right at $15,250 (offers encouraged). This boat is located in Riviera Beach, Florida. She is also equipped with a Volvo Penta engine that has 580 hours. The boat is wrapped up and in storage for the winter, more photos will be available in the Spring. The owner reports no damage to the vessel and all systems are fully functional and perform to specification. Stock #164655 Like new 2016 Four Winns F190! Well maintained and ready for the water! 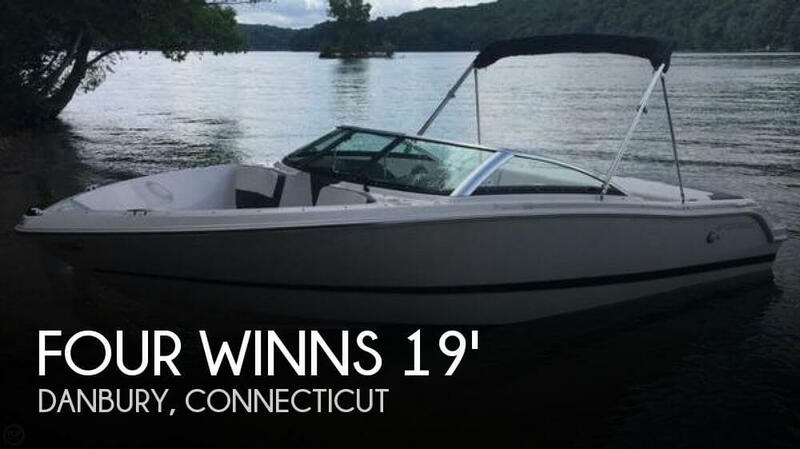 If you are in the market for a bowrider, look no further than this 2016 Four Winns Freedom 190, priced right at $27,800 (offers encouraged). 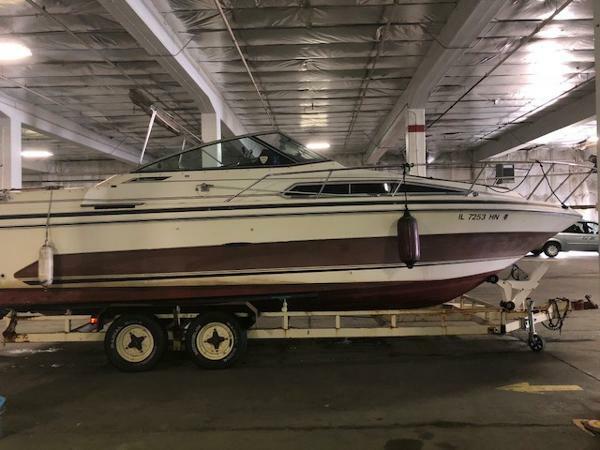 This boat is located in Danbury, Connecticut and is in great condition. She is also equipped with a Volvo Penta engine. Reason for selling is no more time for boating.